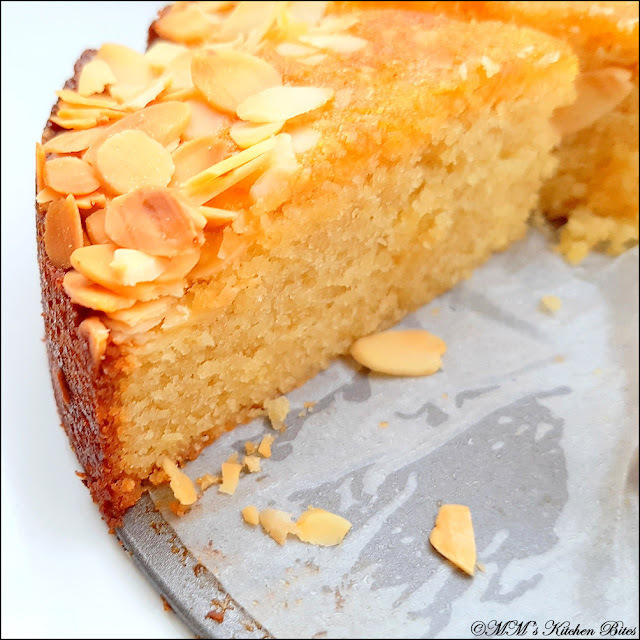 MM's Kitchen Bites: Easy Almond Cake...Sweet beginnings!! Grease and line a 20cm/8 inch round cake tin. Sift the ground almonds, regular flour, baking powder and salt together in a mixing bowl. Stir in the orange zest, if using. Keep aside. Add in the buttermilk and vanilla extract. Stir to combine. Fold in the dry ingredients gently without over mixing. 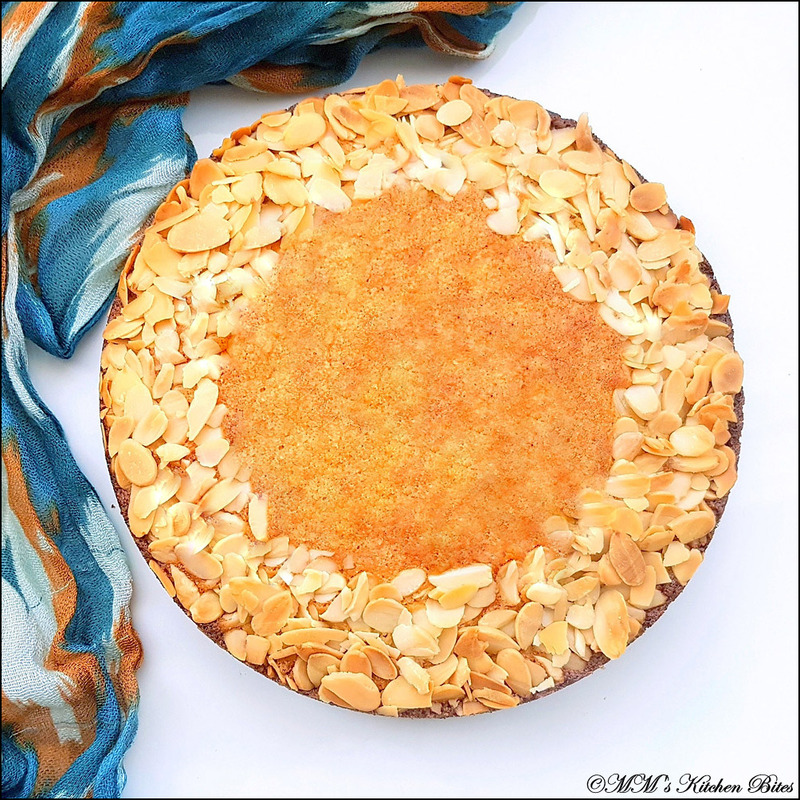 Spoon and the mixture into prepared tin and top up with flaked almonds in a ring shape. Bake at 180C for 35-45 minutes till a toothpick inserted in middle comes out clean. Let rest for 5 minutes before digging in!